Farmer owned seed systems are under threat from corporate control. For generations, small farmers have been able to save and swap seeds. This involves keeping seeds from current or past harvests and storing them away for the next planting season or swapping them with other farmers. 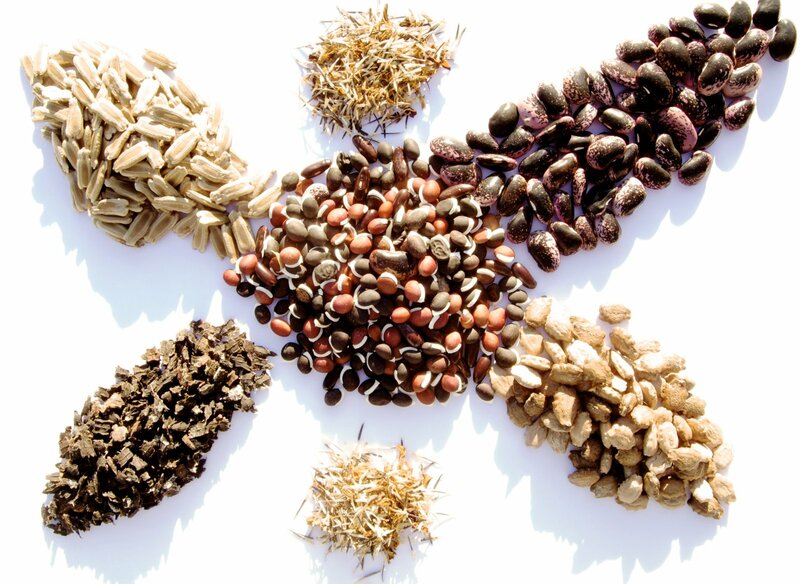 This vital practice is based on knowledge passed through generations enabling farmers to keep a wide range of seeds, knowing which ones are best suited for different climate conditions and which are resilient to crop disease. But this freedom to keep and save seed is under increasing threat by corporations who want to take more control over seeds. Since industrialisation and with the steady increase in large-scale intensive farming the UK has lost much of its local farmer-owned seed infrastructure. Much of the seed system has been commercialised to the extent that many growers look to shops not local seed networks to get their seeds. Corporate-produced hybrid seeds often produce higher yields when first planted, but the second generation seeds will produce low yields and unpredictable crop traits, making them unsuitable for saving and storing. This means that instead of saving seeds from their own crops, farmers who use hybrid seeds become completely dependent on the seed companies that sell them and have to buy them year after year. Often the seeds are sold in packages with chemical fertiliser and pesticides which can lead to spiralling debt as well as damaging the environment and causing health problems. Seed laws, like the ‘Monsanto law’ in Ghana restrict farmers’ freedom to save and swap seeds. This legislation is part of Ghana’s commitment to the UK-backed New Alliance aid initiative which is accelerating seed law changes in the African New Alliance countries. Philanthropic organisations like the Bill and Melinda Gates Foundation are also supporting the promotion of corporate seeds in Africa which also threaten to displace farmers’ seeds. Seed sovereignty doesn’t just give farmers power, it is proven to boost yields, increase diversity and improve farmer incomes. For example community seeds banks and libraries are locally governed institutions that help to conserve local plant varieties, restore ‘lost varieties’, make seeds more accessible (usually for free or at a lower price than commercial seeds) and increase seed sovereignty (the right for farmers to replant their own seeds, and breed, save and exchange them with others). Seed knowledge is not lost. A growing network of open pollinated seed producers, seed swapping groups, and heritage seed libraries are popping up around the UK. By sharing seeds within local communities, developing new organic seeds and reestablishing lost traditional varieties these organisations are attempting to turn the tide on the UK’s privatised seed system and rebuild our seed sovereignty.